The world of legal issues is pretty vast, but there are some people that feel they can navigate it without a lawyer. Even though I am currently involved in legal affairs myself, studying to be a lawyer and all that good stuff, I do feel there is a time and a place to get a lawyer…and a time and a place not to. You don’t always need a lawyer for things that can be easily carried out through forms and a little legal know how. Simple wills? Not an issue. Legal expressions of what you want to happen when you go into the hospital (a living will, etc)? Not an issue, for the most part (but do tread carefully!). Custody issues? No way should you ever turn to a form instead of a legal professional. There are so many different reasons for this, but it all starts with one thing above everything else: your children. They need you thinking at your best rather than getting sucked into all manners of intrigue. You will need to think about the bigger picture as much as you can. Sure, it’s tempting to reach for something that’s obviously cheaper than a lawyer, but this can have long term effects that backfire. There are even some kits now that claim to be able to get you through the process of divorce — even when there are custody issues. Run away from these things. They are not going to be able to support you during such a hard time. There’s no way to get around the emotional turmoil that strikes a family when two people cannot agree on a custody schedule for their children. Divorces can easily get bitter, which means that you are in for a rough time. There’s no reason to believe that you are going to naturally have to fight tooth and nail, but that’s often the way things go. You can’t let it affect you. You cannot let it get in your way. You have to be strong for your children’s sake. They have a right to both of their parents. 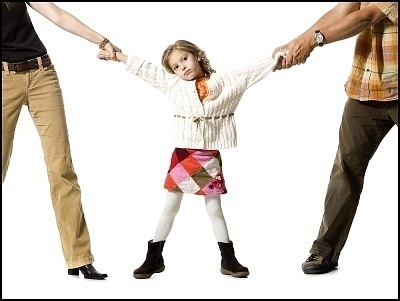 Getting a custody lawyer means that you’re getting a neutral third party that will act within the best interests of the children, which is something that has to be held sacred no matter what. It’s going to be tempting to ignore good advice in favor of bad advice from friends because they have a good idea of what’s really going on. Again, don’t get swept away in emotions. You have to be able to stand your ground. You have to be able to know what’s going on. That’s the key to everything here. You cannot get caught up in who is right and who is wrong. When it comes to the safety of your children, you have to make sure that everyone is on the same page. Although your marriage may be ending, your love for your children has not!